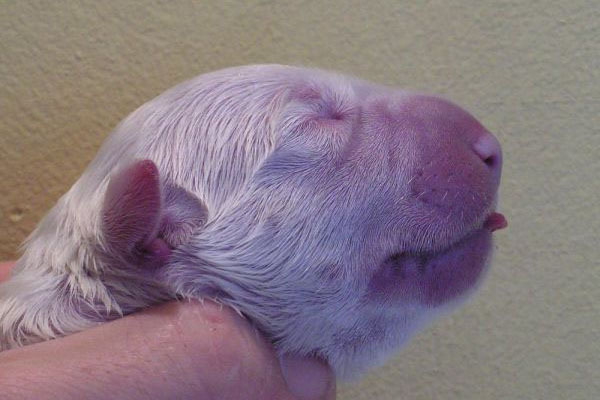 Today at the birthday of my loved wife Eve 6 puppies were born. Two females and two male dogs streaky with a white and 2 white dogs. Parents are Kayah and Lord. 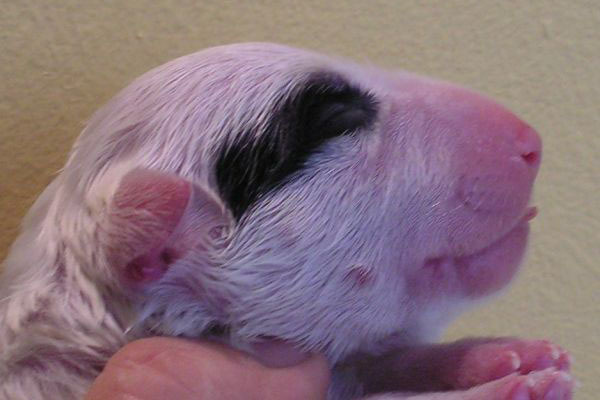 Puppies weigh from 240g to 275g. They are healthy, mother also feels great. Today we received news that Buster at the terriers club exhibition in Cyprus was the best dog throughout the exhibition - the BIS. 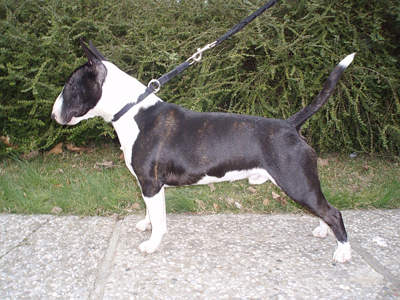 We are extremely happy and thank you very much Demetris for the care and display of Buster. 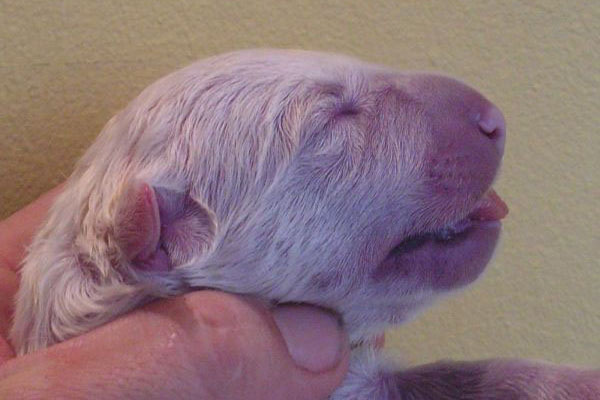 Today Iris has born 7 nice puppies. There are 3 females and 4 males. Childbirth lasted 4 hours and was without complications. Puppies and mother are feeling great. Today we were on diagnostic sonography and we can be praised, that Iris is in pregnancy. Buster is father of babys. We are expecting them 25.10.2008. 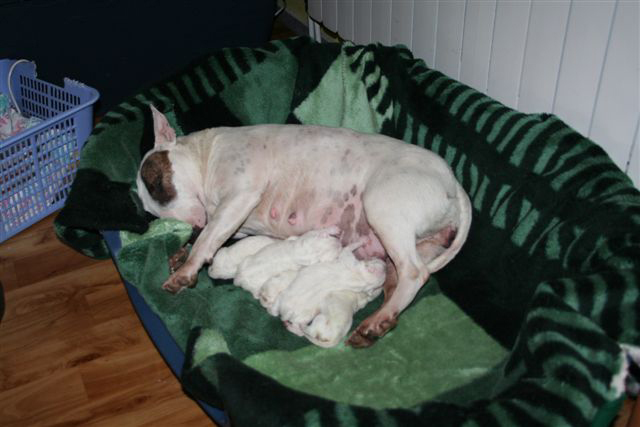 Emma Buteo has given birth 4 beautiful standard bullterriers (2 males and 2 females). Oliver returned tu us after 9-month stay in Soczi (Russia). During vacations in beautiful health resort he has covered 7 russian females. Some puppies after him already rage on russian rings (8 won exhibitions in puppy class, 3 x BIS PUPPY in it). We thank Gulya and Sasza for taking care of Oliver and his return in so perfect form. 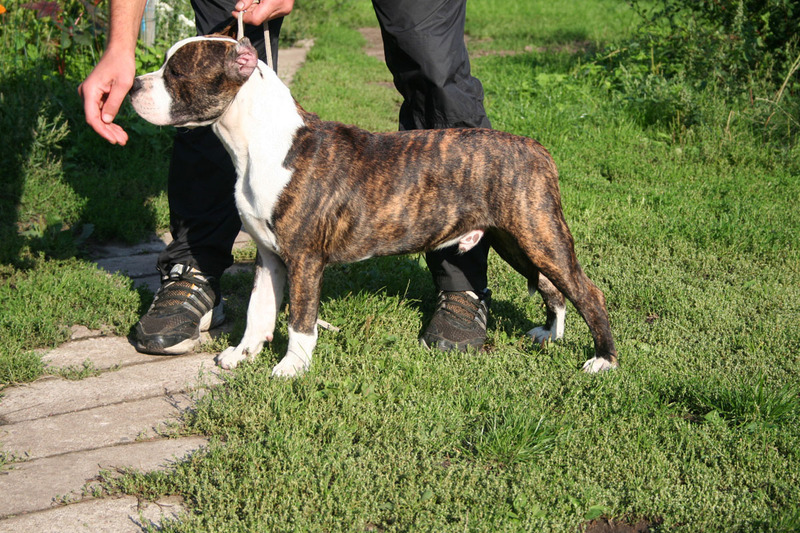 Oure kennel has been increased about two five-month amstaffs "DEXTER" and "DEE DEE" (brother and sister) from "BALTIK SURPRISE" kennel. First Lucky's show in intermedie class and great result CWC, BoS, BOB, BIS TYP BULL III place. 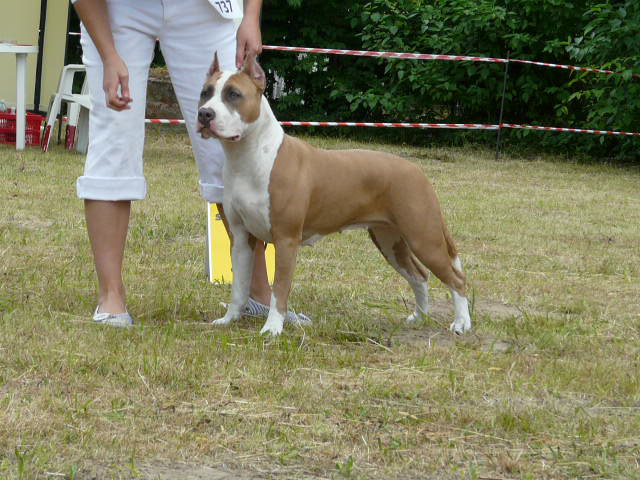 On terriers show Lara (Larry's and Merry's daughter) has started adventure in open class from victory - CWC. Congratulations for Marta and Kaziu. 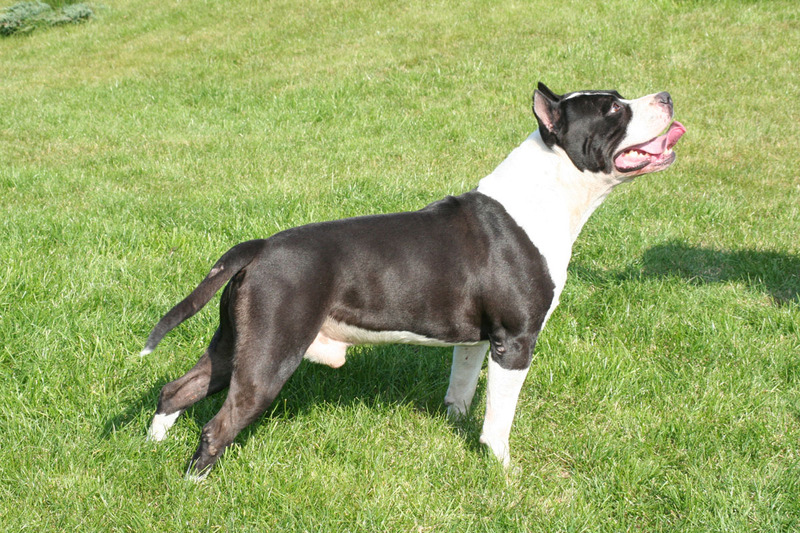 Lucky - Larry's and Merry's son Junior Poland Champion since today. Congratulations for engagement in preparation of Lucky and professional exposure. Thanks Jacek !! Today Sisi born 5 puppies. All of them are in very good contions, and just after birth they goes to thier food :) Weight of pupps since 270 - 370 g. Two males white and one with marks on head like his mother. Two females white without marks. Nice message came from Russia. 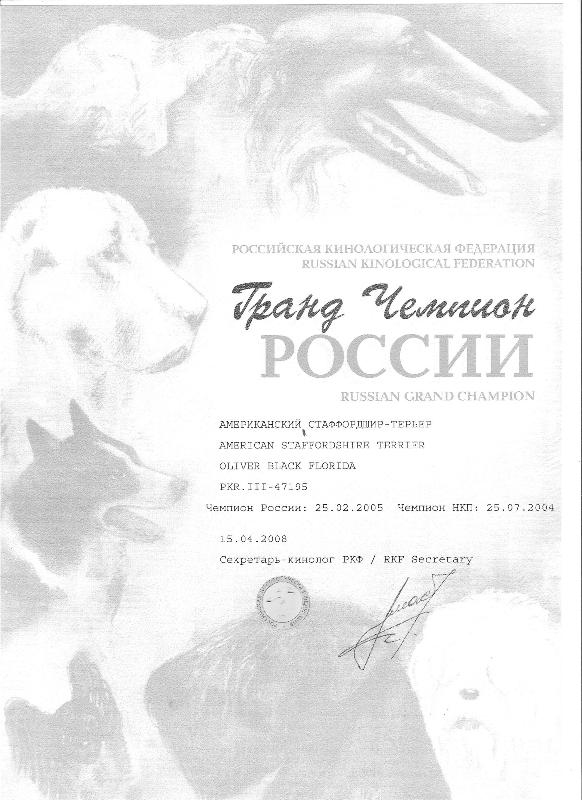 Oure Interchampion Oliver got title GRAND CHAMPIONA OF RUSSSIA. Oli still stays in Soczi as reproduktor. There were born first females after him. Merry gave birth two children's today. 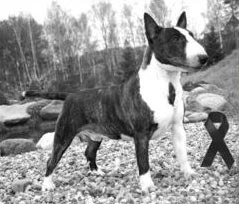 Blue-white female and black male with white stamps. "KAZZO" /Million Miles Ewimark Rakownia/ on two international exhibitions in Zagreb won Juniors twice, and in second day became the Best Junior additionally and won race /BOB/. Super!!! Congratulations Zeljka and Gordan. First Lord's childs came on world in Sochi, 3 male (2 three-coloured and 1 white with monocle) and 1 female (black striped with white). Happy mum is "ZHADI" - Rashen Persona Iz Voiska Tamerlana. 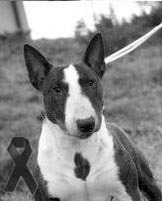 Then you cross Rainbow Bridge together.... "
Rest my darling in peace!! We miss you so much.